For two consecutive days on Friday (30thof November 18) and Saturday (1stof December 18), Iranian channel “two” television broadcast two films of compulsory and inhumane interviews of the invading (22ndof September attacker) families and one of the Ahwazi detainees named as, Ali Souidi. 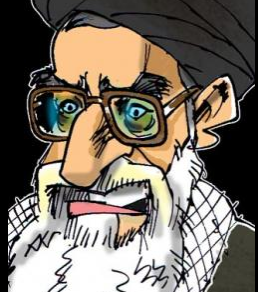 The Iranian regime prepared these videos in order to place the charge of terrorism on some of the Ahwazi activists who are active in the internal and external field. The Ahwazi Centre for Human Rights (ACHR) stressed the lack of credibility of the broadcasted confessions, that are fabricated by the Iranian regime against the Ahwazi prisoners in which the confessions taken without mercy under threat and brutal torture added to physical and mental pressure in the dark cells of the Iranian intelligence services. In two films that ben broadcast, one of the elements of the Iranian intelligence apparatus appeared to be the channel presenter to talk with Ahwazi families, provoking the Ahwazi prisoners’ families to take televised confessions without taking into account the legal matters which showed organized terrorism by the Iranian state authorities to spread terror and fear among Ahwazi citizens. Despite The number of attackers is more than three people, one of them is active member of Basij base of “Imam Hassan al-Majtaba” called Jawad Sawari and the other is Hassan Darvishi, their families have not been interviewed with probability that Iranian security service, do not want to notifies the local residence of what actually happening in Ahwaz capital. 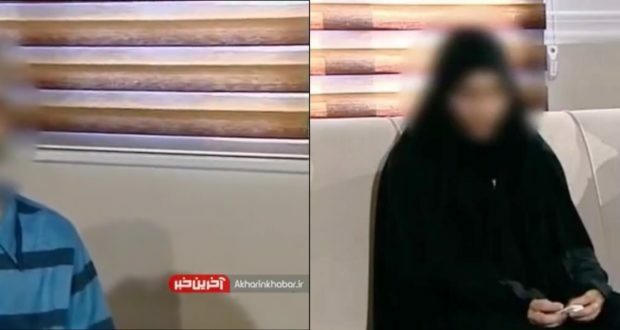 In the interview, it was alleged that families were spoken without any pressure on the camera, but according to human rights activist within Ahwaz, all members of the Mansouri family were arrested and even their father after severe torture is at the hospital’s CCU. Also Mahmoud’s wife (Fouad) Mansouri wears an imprisonment cloth under her long black dress. The ACHR believes that the fabricated confessions are the beginning of a series of unfair mass executions against innocent Ahwazi prisoners detained by the Iranian security forces after the attack on the Iranian military parade on September 22 2018 in Ahwaz capital. The ACHR, while condemning this repressive terrorist approach that contradicts to all international norms and laws, warns the Iranian criminal authorities against the consequences of executing the Ahwazis who were kidnapped after the military parade attack, holding the Iranian regime full responsibility of any crimes perpetrated against Ahwazi innocent detainees. The ACHR calls upon international community and all humanitarian organizations to upholds their responsibility and to condemn despicable approach and the policy of humiliation, brutal torture and mass executions carried out by the Iranian occupation authorities against Ahwazi innocent people.